Who wouldn't love to have a Super Hero Cinch Bag? 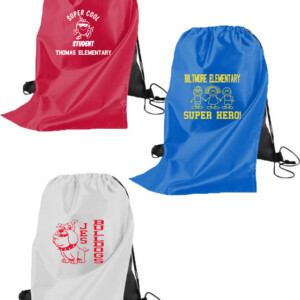 These bags can make all your students into the super heroes they truly are! They are not only useful but so much fun! 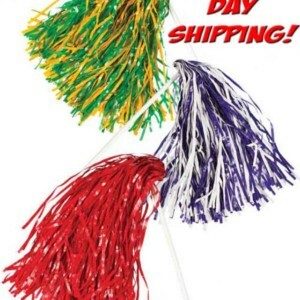 Available in 3 super hero colors, red, white or blue! 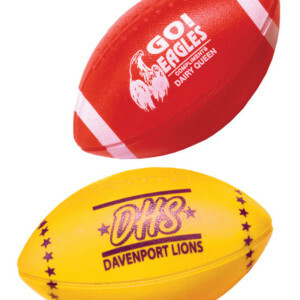 Put your schools mascot or logo on these bags or anything else that you think your students would love! 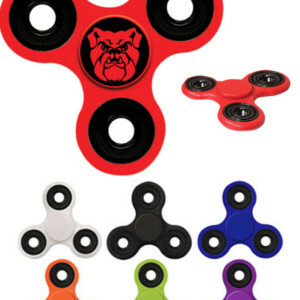 These are great for field trips also! 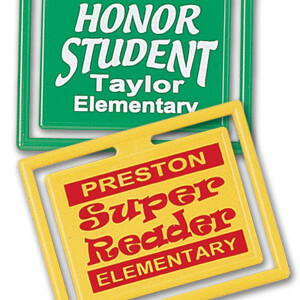 Let the world know that your students are super heroes! The bag measures 13.5"W x 15.5"H. The cape is 19" in height and is made of satin. 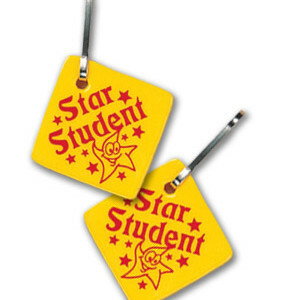 They have a double drawcord closure and are made of polyester. 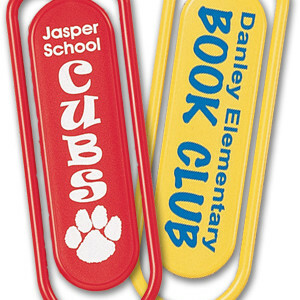 These bookmark clips are a fun way to mark your place. 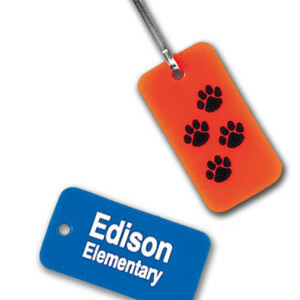 They come in 2 colors and you can design them any way you please! 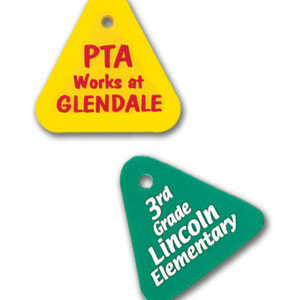 They measure 3 1/4″ x 1 1/4″. Please allow 2-3 weeks production time. 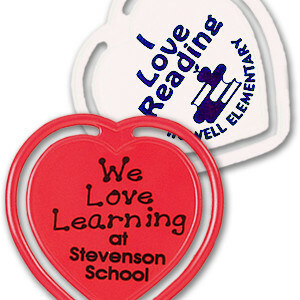 These heart bookmark clips are a fun way to mark your place. 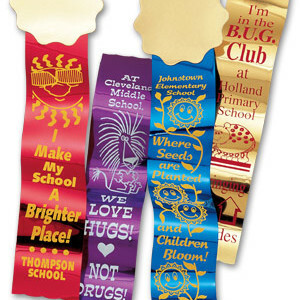 They come in 2 colors and you can design them any way you please! They measure 2 1/2" x 2 5/8". Please allow 2-3 weeks production time. Absolutely cool! 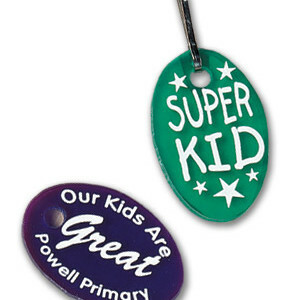 These oval zipper pulls are sure to delight your students! Design them any way you choose! 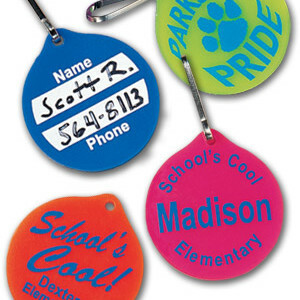 Fun to add your schools mascot and logo on! Add these zipper pulls to a favorite jacket or a book bag. 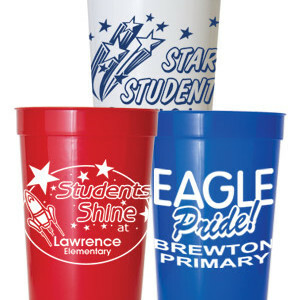 What a great way to show your school pride! Absolutely cool! 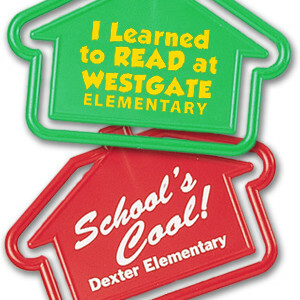 These square zipper pulls are sure to delight your students! Design them any way you choose! 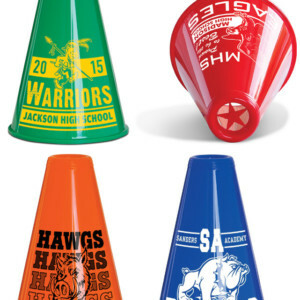 Fun to add your schools mascot and logo on! 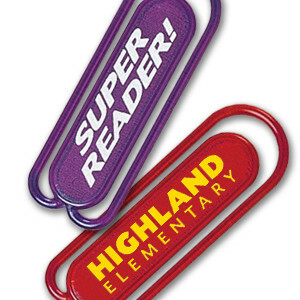 Add these zipper pulls to a favorite jacket or a book bag. 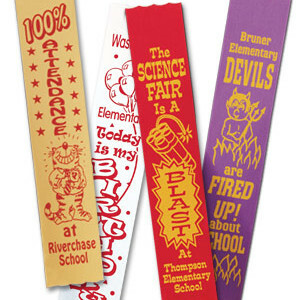 What a great way to show your school pride!